The 2018 Drew League championship lived up to all the hype in Los Angeles, CA. The Drew League has blessed the internet with highlights by many of our favorite players and I was able to roam the sidelines for the championship in August of 2018. Keep reading to learn more about my experience and check out some of my favorite images. The Drew League did not disappoint. Noah Farrakhan poses for a portrait for me at the inaugural SLAM Summer Classic in August of 2018 at Monsignor Kett Playground, NYC. The inaugural SLAM SUMMER CLASSIC was memorable and historic. Take a look at my images to see for yourself. Venice Beach regular skater Isaiah Hilton takes to the sky over a young man much to the delight of the crowd. Shot on Kodak Portra 400. I went chasing vibes in Los Angeles during NBA All-Star Weekend. Continue reading to join me on the adventure and see what I came away with on my Mamiya RB67 medium format camera. Boy rides bike in Prospect Park, Brooklyn. For most of my client work I am working very fast. During games, I often send lightly edited photos in between quarters. Sometimes, it's not until after the event when I can actually go through my photos that I can process the experience of being there. Slowing down helps me to live in the moment, during the moment. It reminds me to be intentional with my time and process. Lance Stephenson suited up for the Brooklyn Stompers during opening night at Gersh Park on Friday June 16th, 2017. Join me throughout the season as I document the amazingness that is the Nike EYBL. Some of my favorite images from sessions one and two of Nike's EYBL in a fast paced 18-second video and some bonuses too. Part II of my look back at 2015 features my adventures with Nike's Elite Youth Basketball League, my muse that is the playgrounds of New York City, working with Olympic gold medalist Sydney Dwyer-Leroux, and much more. 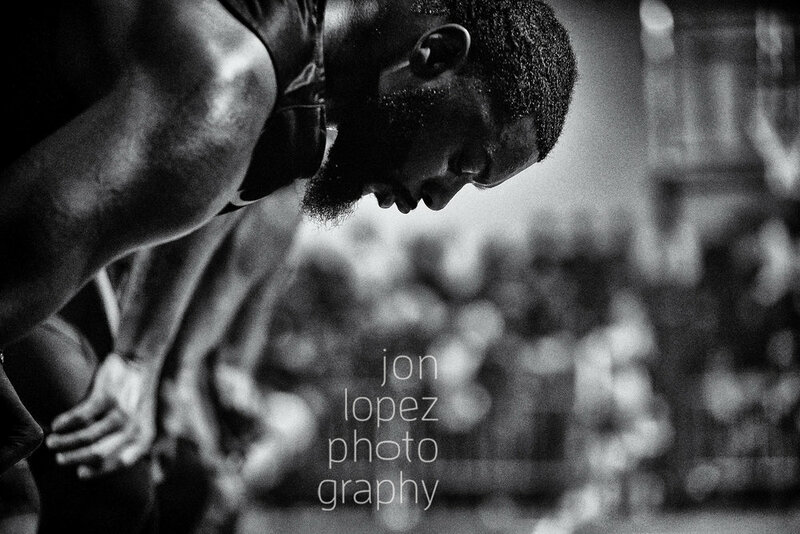 As the summer winds down, so do the NYC summer leagues and I've made my rounds throughout the Mecca of hoops to create my images from the sidelines of some of the greatest tournaments in the world. Keep reading to see some of my images. Former Florida Gator, Erving Walker (with the ball in hand) took on former Pitt standout, Levance Fields in a memorable battle on the court at Gersh Park. Gersh Park featured a match up for the ages when Erving Walker and Lavance Fields clashed in the 2015 playoffs. Jawing at each other during and in between buckets, the crowd loved every bit of this one. Peep my video of the pure adrenaline flowing through the park during this battle for the crown of NYC's hottest tournament. Justin Leonard designed this dope backboard lighting and placed it right on the basket at West 4th. I had the privilege of displaying some of my images at the world famous West 4th court, a.k.a. "The Cage", during NBA All-Star Weekend back in February. I believe this was the first time an exhibition like this took place on the hallowed grounds of New York City. I joined NY Sunshine, Adam Lister, Justin Leonard, Kevin Couliau, and Bobbito Garcia as the artists whose work was featured. Check out some of the images and my reflection on being a part of such a special exhibition. I had the great pleasure of capturing Team USA celebrate their gold medal win during the FIBA Basketball World Cup in Madrid in September of 2014. In any given year things tend to move so fast that I seldom have an opportunity to pause and digest the minute nor the incredible moments as they happen. While I am always cognizant of what's going on, it's only in hindsight that I really have an opportunity to fully appreciate the road I've been traveling. In this final part of my personal look back at 2014 I share a behind the lens look into the FIBA Basketball World Cup, my adventures with Nike and the Elite Youth Basketball League as well as its elite camps including that of LeBron James, my role in an upcoming documentary film coming to a theater near you in 2015, and more. Lower East Side basket. NYC. 2014 was an incredible year and has given me plenty to be thankful for. For starters, I am entering 2015 in good health, which I never take for granted. 2014 has also been an incredible ride that has felt like a dream with all of the opportunities I’ve been afforded. I’ve logged over 20,000 miles in 2014 that have taken me across the country and over the Atlantic Ocean. I’ve probably clicked my shutter at least twice for every mile I’ve traveled, creating my shots from some of the world’s greatest stages of all levels. Here is a visual recap of just some of the highlights 2014 blessed me with. Camaradas saw a capacity crowd during the opening of the Respect The Shooter photography exhibition, which is on display through December 31st. Photo by Vincent (instagram: @vinzarate). The turnout for the opening of my Respect The Shooter photography exhibition on Monday, December 1st at Camaradas was incredible. I was truly blown away by the support from the New York City basketball community, my friends, and family. Whether on the court or from the periphery of the game, I have always been a shooter. Through my passion for both basketball and photography, I have traveled the world freezing action and capturing defining moments. On December 1, 2014 I will share some of the photographic shots I've created over the years. Please join me as I share a limited selection of my adventures. Nike laced the basketball court at Richard Grossley Junior High School with this awesome LeBron James decal just for the title game. IS 8 is synonymous to elite high school basketball in New York City and, despite it's humble tagline: bring your game not your name, dozens of legendary players have competed in the historic tournament. I had the pleasure of creating my shots from the sidelines of the championship game and a very special and unique event leading up to it. Continue reading to see some of my shots and a brief recap of the experience. The 2014 Books & Ball All-City Classic showcased some of NYC's brightest future stars. I recently had the opportunity to create my shots from the sidelines of the 2014 Books & Ball All-City Classic in the Bronx, NY. The talent level of these high school hoopers was impressive to say the least. No game announced by the great David "Cha Ching" Teele is short of energy or excitement and he certainly did not disappoint on this occasion. Continue reading to get a feel for the event through my lens. Hope you enjoy the images. Team USA does the shmoney dance in celebration of the Basketball World Cup gold medal when they defeated Serbia in the championship. I had an absolute blast in Spain as I created my shots from the sidelines of the Basketball World Cup. Here are some of the images I was able to create as well as a summary of my trip. I learned a ton and I hope my words and images can share a piece of my journey with you. Pau Gasol takes Anderson Varejao to the basket at the FIBA Basketball World Cup during the group phase in Granada, Spain.